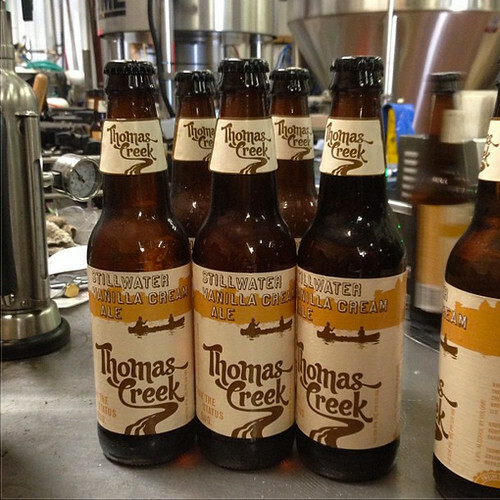 Thomas Creek Stillwater Vanilla Cream Ale returns in April | Drink. Blog. Repeat. Today marks the first day of spring, and if your favorite spring seasonal beer hasn’t hit shelves yet, it probably will soon. One of my favorites from South Carolina – Thomas Creek‘s Stillwater Vanilla Cream Ale – hit the bottling line yesterday as the above Instagram photo shows. The 4.5% cream ale will begin hitting markets in bottles and draft again in April. Pingback: Thomas Creek to bottle Castaway Chocolate Orange IPA | Drink. Blog. Repeat.